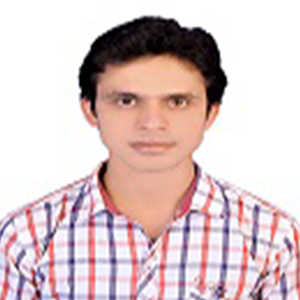 Mr. Rahul Singh is pursuing Ph.D degree from the Bihar Agriculture University (Sabour) Bhagalpur, India. He has Participated in RAWEP training programme (6 month), he has given Oral presentation on the topic “understanding genetic diversity of rice genotype tested under complete flash flood environment of zone IIIA of Bihar state” during National conference on Climate Change and Agricultural Production, BAU Sabour. He has also attended National conference on “Bringing self sufficiency in pulses for eastern India”, National seminar on “Re-orientation of Agricultural Education” BAU, SABOUR and also attended the National seminar on “Quality honey production for livelihood Security” BAU, SABOUR, Workshop on “persuasive communication skills amongst Agricultural Student” BAU, SABOUR and “National conference on IPR in Agriculture needs and future prospects” BAU, SABOUR. He has published 3 Research Articles and submitted 3 Sequence submission to the NCBI site.